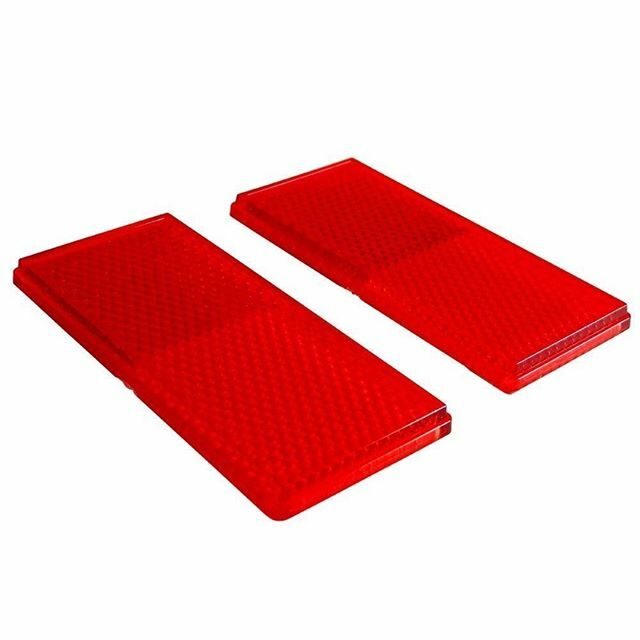 These quick stick-on red rectangular reflectors are designed to stick-on to any clean surface. It features a highly reflective diamond pattern that brightly reflects light and is easily seen at night as light hits it. It is ideal for truck, boat, carriers,trailers, parking blocks, numbers, bikes, mailboxes, or any object that needs to stand out when light hits it.